Gaetano Fichera's parents were Giuseppe Fichera and Marianna Abate. Giuseppe and Marianna had four children, all sons, and Gaetano was the eldest. Giuseppe Fichera had graduated with his laurea in mathematics from the University of Catania in 1921. He had been a student of Bernardino Gaetano Scorza, who taught at Catania from 1916 to 1920, and Giuseppe had become an expert on the theory of group representations. After Scorza moved to Naples, Giuseppe Fichera became an assistant to Mauro Picone who was appointed Head of Mathematics at Catania in 1921. However, after Giuseppe Fichera's second son was born, he left university teaching to become a secondary school teacher of mathematics. This was forced on him since it was better paid than a university assistant and, with a young family to support, he had to bring in a higher income. However, Giuseppe Fichera remained a close friend of Picone all his life and this was to have a considerable beneficial effect on the young Gaetano. This situation exerted a considerable influence on the scientific training of Gaetano Fichera. In fact, he was in an institute where problems of pure mathematics were studied together with others posed by industry, engineering and applied sciences. Therefore, the output of Gaetano Fichera belongs in part to pure mathematics, in part to its applications to physical mathematics. In both these fields he obtained important results that made him famous throughout the mathematical world. After Italy entered World War II in June 1940, the Institute worked on military applications as part of the war effort. However, the war was to have a far greater impact on the young Fichera for, in February 1943 when he reached the age of 21, he was called up to fight. Fichera refused to join the Italian army because it collaborated with Nazi Germany. We had just gone to bed when we heard the roar of a plane and immediately heard the explosion of a bomb. It had not fallen very far from us, but luckily there were no victims nor was any damage done. An anti-aircraft battery, about fifty yards from where we were, opened fire then stopped. It was the last flicker of war that we had to endure. The next night someone knocked on our door: it was three Englishmen who were part of that battery with two German prisoners. When they asked if there was someone who spoke English, Gaetano came forward and spoke to the three British soldiers in a very nonchalant manner. Then he turned to the two Germans, spoke to them in their own language, translating what they said for the British. Finished questioning the British thanked Gaetano and all of us, saluted us, and left taking the prisoners with them. For us it was a pleasant surprise to discover that Gaetano, although so young, as well as being a graduate in mathematics, could speak two foreign languages with ease, something very rare in those days. The first part will extend some theorems on the potential theory of surfaces. Then we establish uniqueness theorems for the boundary value problems for harmonic functions considered in a certain class. Finally, from these are deduced completeness theorems concerning Hilbert function spaces for certain systems of functions. The methods Fichera used were based on those which had been developed by his teacher Picone. In 1949 he published the important paper Analisi esistenziale per le soluzioni dei problemi al contorno misti, relativi all'equazione e ai sistemi di equazioni del secondo ordine di tipo ellittico, autoaggiunti Ⓣ on uniqueness and existence of solutions of certain mixed boundary value problems. In the same year he entered the competition for a chair of mathematics at the University of Trieste. Renato Caccioppoli, who was at the University of Naples, was one of the referees who recommended Fichera for this chair. In fact he had also been a referee one year earlier when Fichera received his 'Libero Docente'. After this Fichera and Caccioppoli remained close friends until Caccioppoli's death in 1959. While in Trieste, he met Matelda Colautti; they married in 1952 (she is the author of the book  about Fichera's life). In 1956 Fichera moved to Rome when appointed to the chair of mathematical analysis at La Sapienza, the University of Rome. Three years later he moved to the chair of higher analysis, still at La Sapienza. 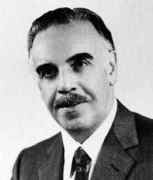 Gaetano Fichera was at the heart of the important developments connecting physics (mostly elasticity), functional analysis and the theory of partial differential equations and inequalities which took place after WWII, many of them in Italy where the mathematical study of the mechanics of continuous media was a well-established tradition. ... Fichera had by no means a narrow view of his subject and was led to contribute to other parts of mathematics, one being the theory of functions of several complex variables ... [The Cialdea and Lanzara article contains] an impressive list of Fichera's works: 256 articles published between 1941 and 1999 and 18 books. A remarkable feature is that the rhythm of publication was already the same before the "publish or perish" era. In pure mathematics Gaetano Fichera achieved considerable results in the following fields: mixed boundary value problems of elliptic equations; generalized potential of a simple layer; second order elliptic-parabolic equations; well posed problems; weak solutions; semicontinuity of quasi-regular integrals of the calculus of variations; two-sided approximation of the eigenvalues of a certain type of positive operators and computation of their multiplicity; uniform approximation of a complex function f(z); extension and generalization of the theory for potentials of simple and double layer; specification of the necessary and sufficient conditions for the passage to the limit under integral sign for an arbitrary set; analytic functions of several complex variables; solution of the Dirichlet problem for a holomorphic function in a bounded domain with a connected boundary, without the strong conditions assumed by Francesco Severi in a former study; construction of a general abstract axiomatic theory of differential forms; convergence proof of an approximating method in numerical analysis and explicit bounds for the error. ... concern the existence, uniqueness and regularity of solutions. Such studies regard above all the mathematical theory of linear elastostatics, in particular the mixed boundary problem and Signorini's problem, that is the problem of the equilibrium of an elastic body with a unilateral support constraint on a part of its boundary. The situation requires boundary conditions expressed by inequalities. Other studies regard the energy approach to the Saint-Venant's problem. Many papers concerning the theory of materials with memory contain interesting observations on the concept of 'fading memory'. The results of Gaetano Fichera in this field give useful information on the analytical structure of the 'memory kernel'. Some mathematical research concerned electrology and biology. In addition to this work in pure mathematics and mathematical physics, Fichera also made some important contributions to the history of mathematics. He wrote on the life and work of a number of mathematicians: Solomon Grigoryevich Mikhlin, Francesco Severi, Guido Fubini, Luigi Fantappiè, Pia Nalli, Mauro Picone, Francesco Giacomo Tricomi, Alexander Weinstein, Vito Volterra, Renato Caccioppoli, Bruno de Finetti, and Maria Adelaide Sneider. He also wrote a valuable study on Archimedes. He was an extraordinary, real gentleman, very handsome and impressive, being polite and kind to us youngsters; caring even for my work and giving advice in the discussions. His lectures were tastefully prepared and delivered in elegance with brilliant clarity. Throughout the book the author gives special attention to methods and results having applications in the theory of partial differential equations. These lecture notes are devoted to two closely related topics: the theory of elliptic boundary value problems, and the approximation of eigenvalues of elliptic operators. The author's most remarkable achievement is the presentation, in a lucid style accessible to any graduate student with some familiarity with functional analysis, of the L2 regularity theory of elliptic systems on bounded domains. In this detailed set of lectures the author starts with the definition of a Hilbert space. He develops the elementary geometrical properties and culminates with proofs of the spectral theorems for Hermitian and unitary operators. This book succeeds in its main purpose which is to give a systematic summary of the research of the author and his students since the 1950's. In order to put their results in perspective, relevant results of others are discussed where appropriate. The emphasis is on obtaining rigorous bounds for desired quantities. This contrasts with much current work on differential equations where "error bounds" commonly involve unspecified constants. Most of the author's work has been formulated in a rather abstract setting but practical aspects are emphasized here. ... The book contains important results previously widely scattered in the literature. [It] provides a compact and convenient reference which will be useful to research workers in areas related to those covered here. It should be in all university libraries. In 1985 Fichera published another book based on his lectures on mathematical physics, namely Problemi analitici nuovi nella fisica matematica classica Ⓣ. It treats several different topics in linear elasticity. Fichera was a member of the Accademia Nazionale dei Lincei and received their prestigious Antonio Feltrinelli Prize in 1976. He was elected to the National Academy of Sciences of Italy (the "Academy of Forty"), the Academy of Sciences of Turin, the Academy of Palermo, the Academy of Bologna, the Lombardo Institute, the Peloritana Academy, the Zelantea Academy, the Academy of Modena, the Gioenia Academy, the German Academy of Sciences Leopoldina, the Royal Society of Edinburgh, the Academia Europaea, the Russian Academy of Sciences, and the Georgian Academy of Sciences. In fact he was elected to an honorary fellowship of the Royal Society of Edinburgh in 1976. He was awarded the Ivane Javakhishvili Medal by Tbilisi State University in 1982 and the Medal of the Università per Stranieri di Perugia in 1993. He received the Italian Minister of Education Prize in 1961, and the Gold Medal Benemeriti della Scuola, della Cultura, dell'Arte from the President of the Italian Republic in 1979.